April 11-13, 2019 at 7:30 p.m.
April 13, 2019 at 2:00 p.m.
After her heart transplant, Joy enters a downward spiral, unsure she deserves a second chance. Alice and Hank mourn the loss of their son, whose heart saved Joy. 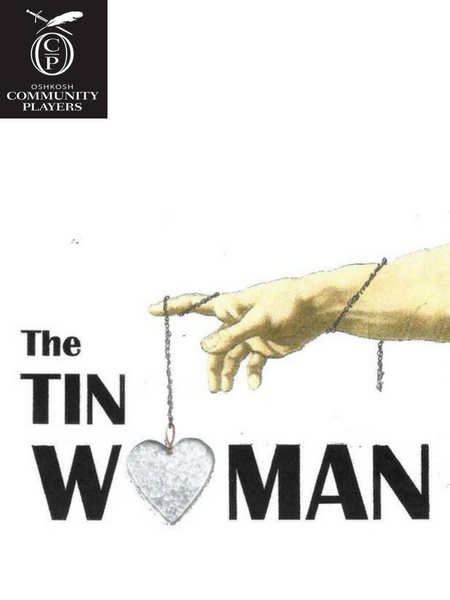 Based on a true story, THE TIN WOMAN uses humor and pathos to explore loss, family, and new life. Oshkosh Community Players is going to be raising funds and awareness for organ donor needs.